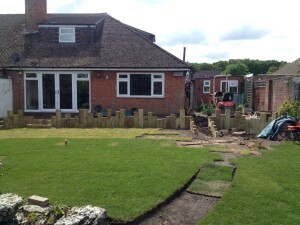 As part of our design and landscaping process we will often have to incorporate some fresh grass into a new garden. All the turf we use is top quality and locally grown to the best standards. We use a combination of modern machinery and traditional techniques to get the best results and great “mowability”. If the area of the lawn is fairly small, it can be prepared by hand using a spade. For larger areas we would use a rotavator. Depending on the condition and quality of the existing soil we will advise as to whether you will need soil conditioning or fresh top soil to ensure your new lawn is perfect. It is also important to rake over and compact the area to get it as flat as possible for your new turf. We will always tailor each job to your specific requirements. 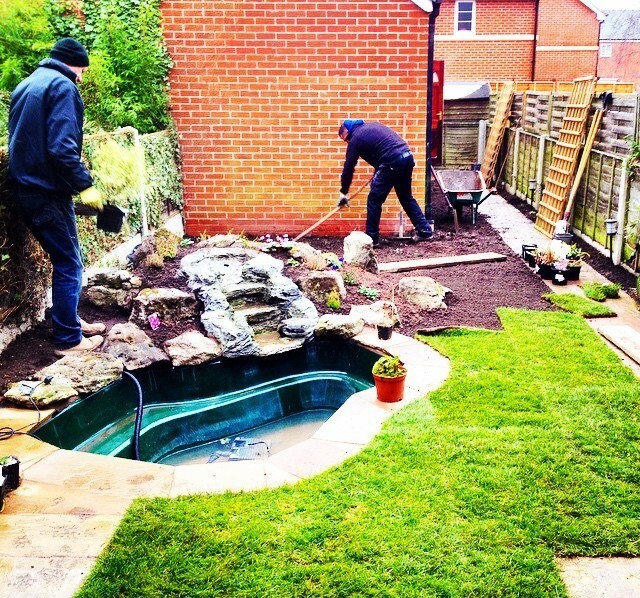 Our professional and highly experienced installers at Perfect Ponds and Landscapes will make a neat and tidy job of installing your new grass and making sure it is well watered and treated to give it the best possible chance of growth. We will provide guidance to help you with any after-care needs and upkeep or anything else you may wish to know. We will always give our customers free honest advice, and our aim is to supply you with the best solutions to any problem you may have.